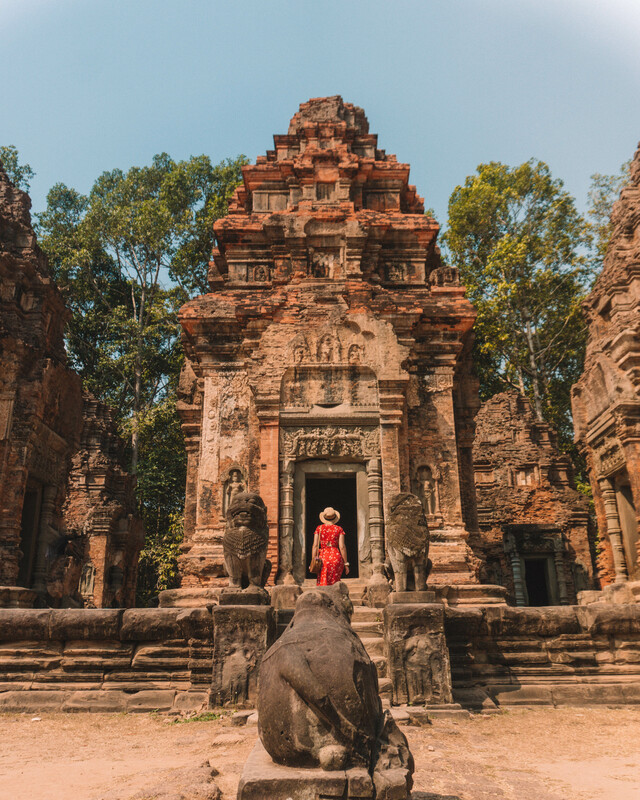 Preah Ko is one of the oldest temples in the Siem Reap area. 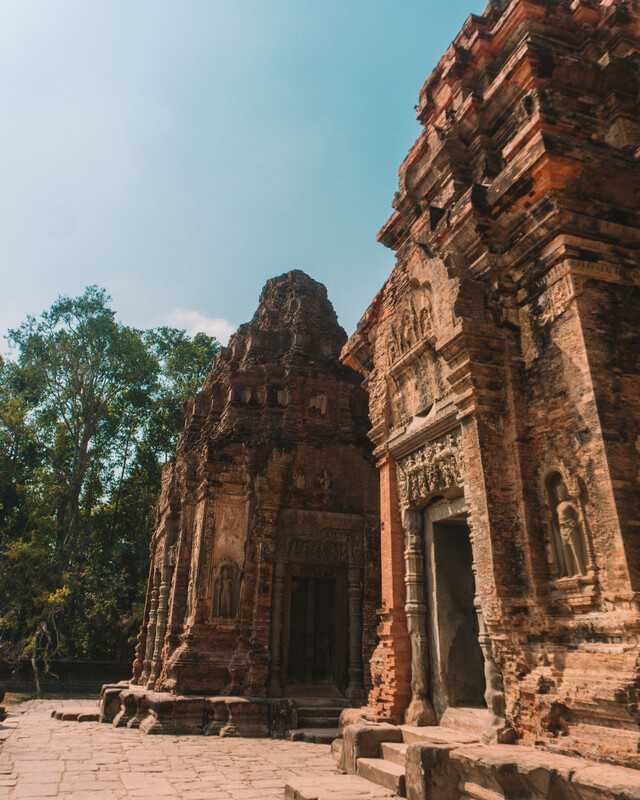 Found to the east of the city, Preah Ko was one of the first temples built in the Ancient city of Hariharalaya that once stood here. 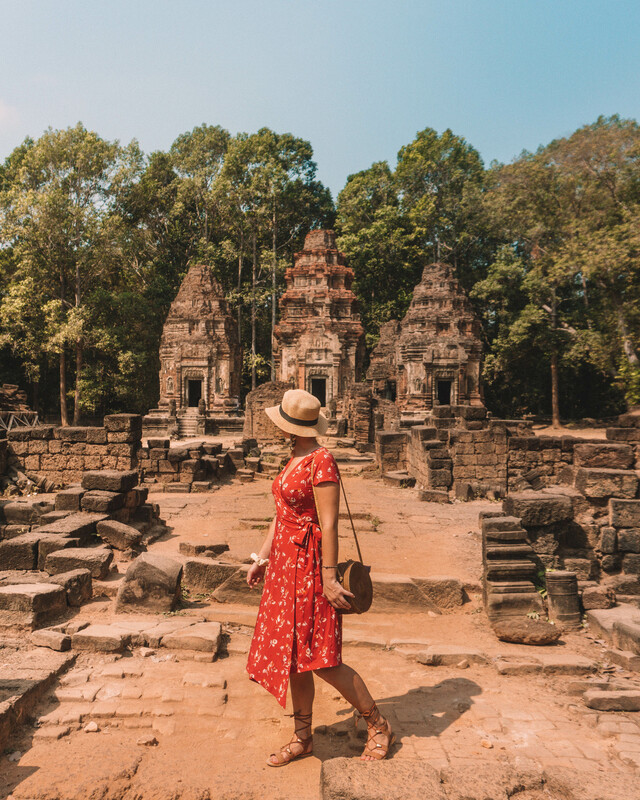 Due to its location away from the main temples of Angkor (which are found to the north of Siem Reap), Preah Ko remains relatively quiet and under-explored compared to the other temples here! 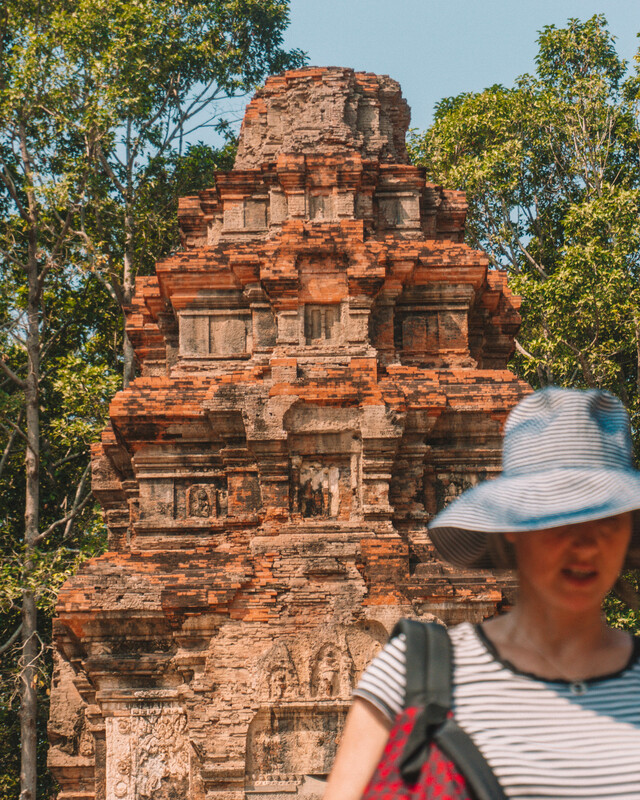 Preah Ko was one of my favourite temples that we explored on my recent trip to Siem Reap with my mother. Maybe it was the peace of the site, or the tasteful conservation work that has made it easy to spot parts of interest. The name translates to the temple of the sacred bull, so named for the three kneeling bulls facing the towers. 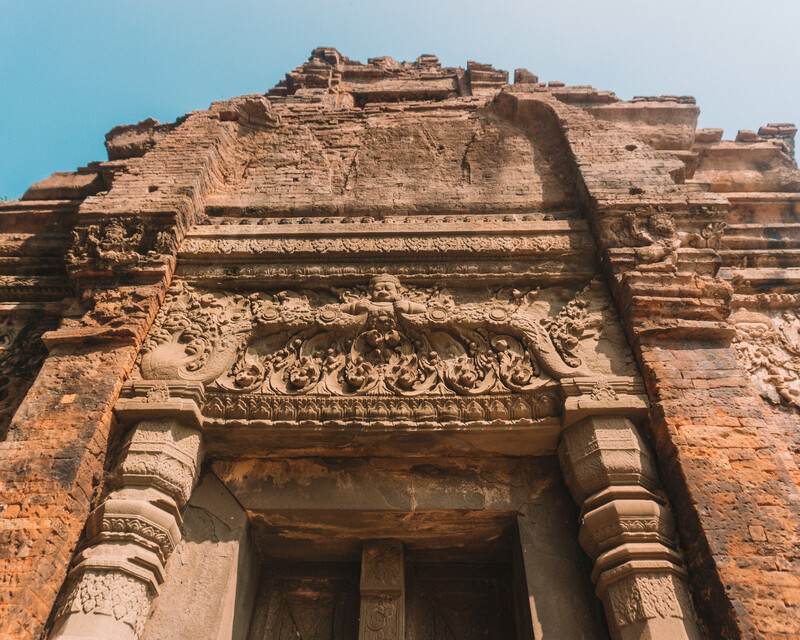 Originally Preah Ko was a Hindu temple with images of Shiva adorning the towers. 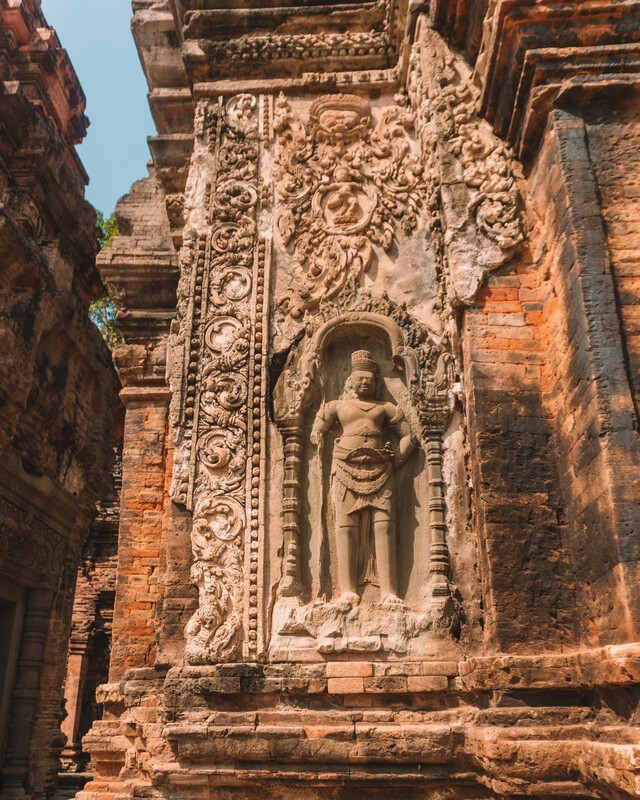 Preah Ko was built in the year 879 by King Indravarman I who has his ancient capital city of Hariharalaya here. 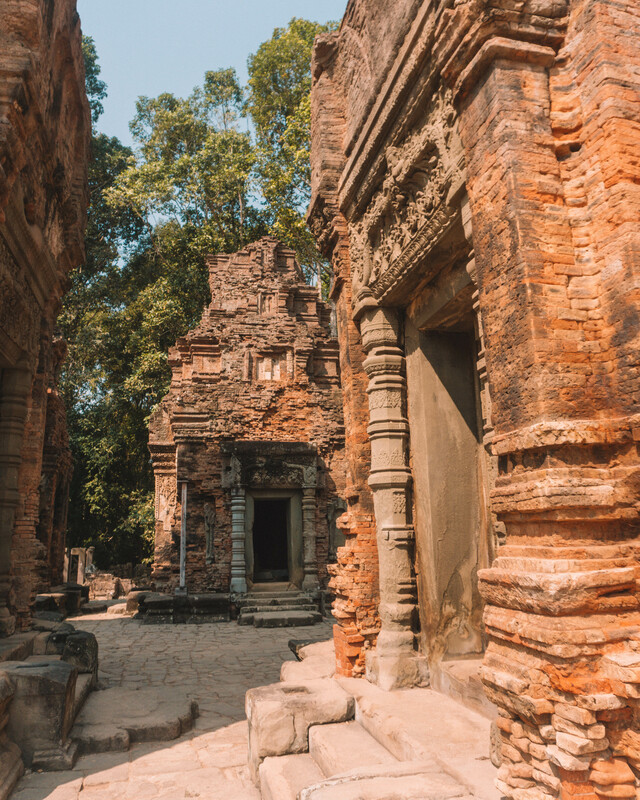 It was around this time that the Khmer started to build permanent structures, but the city is thought to have been built predominantly of mud and wood structures so there is nothing remaining of the city. 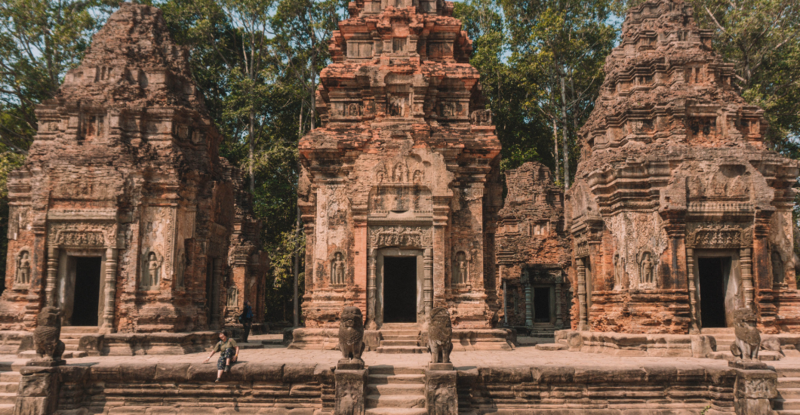 As with many Khmer temples, Preah Ko was dedicated to the royal family with 3 towers dedicated to the forefathers of King Indravarman I, and 3 towers dedicated to their queens. Preah Ko was such a welcomed change from the huge and busy temples of Angkor!